The City of Tye Fire Department is committed to protecting our citizens, their property and the environment within our community by providing rapid, professional fire and rescue services. We accomplish our mission through prevention, fire suppression, rescue, basic medical services, hazard mitigation and other related emergency and non-emergency activities. 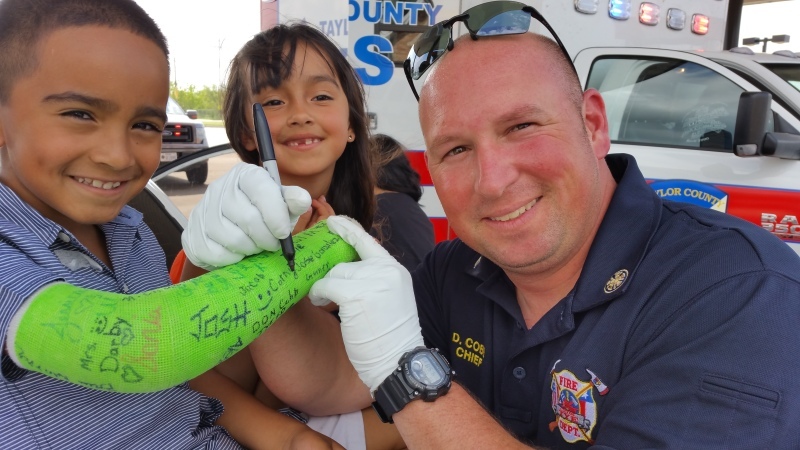 We will actively participate in our community, serve as role models and strive to effectively utilize all of the necessary resources available to provide a service deemed excellent by our citizens. We will continue to change and grow as our community does, ensuring the right protection is always available. 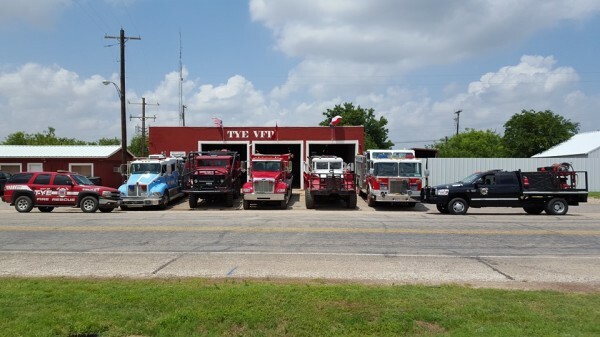 The City of Tye Volunteer Fire Department is an all volunteer department with an average roster of 20 personnel. We average 300 calls per year and proudly serve the citizens of Tye, northern Taylor County and southern Jones County. 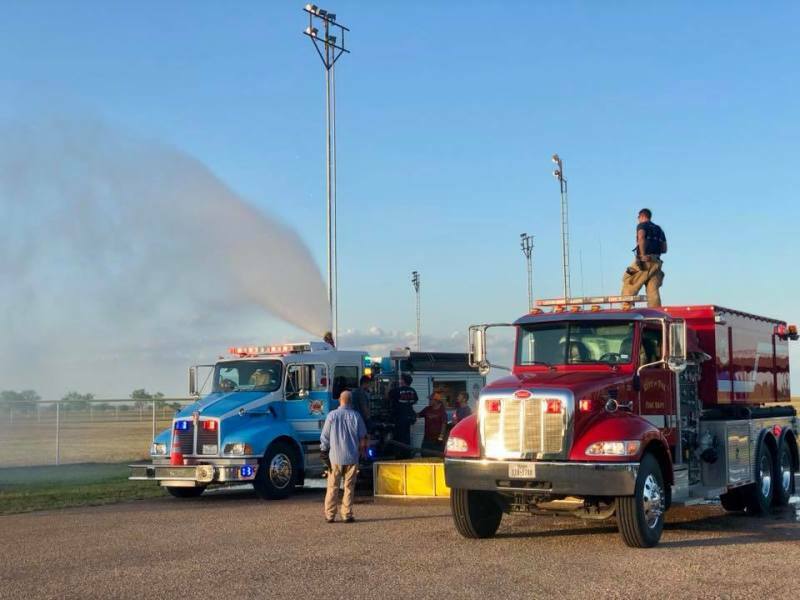 We provide mutual aid with our neighboring departments on a regular basis and also mutual aid to other departments within the Big Country as needed. Our response area covers approximately 55 square miles in a mostly rural area. We provide basic medical services, rescue services, fire suppression, fire prevention, hazard mitigation and other emergency and non-emergency activities. ​The City of Tye Volunteer Fire Department operates out of two stations. Station 1, located at 219 North St, houses Engine 2, Tanker 1, Squad 1, Brush 4 and Brush 3. This is also where our offices are located and where our training is conducted. Station 2, located at ​649 Scott St, houses Engine 1 and Brush 2. We support our community by sponsoring the Annual Easter Egg Hunt and supporting the Annual Back to School Bash as well as the Community Christmas. Although we are funded through the City of Tye and Taylor County, we hold annual fund raisers including the Haunted Hangar and our annual car show. Members of the department receive training on a weekly basis. Our training follows the guidelines set forth by the State Firefighters' and Fire Marshal's Association. Members are also able to attend one of the many fire schools around the state at no cost to them. As the City of Tye and surrounding area continues to grow, so will our department. We are always looking for volunteers to fill the needs of the department. If you are interested in becoming a member, please visit us on Monday nights at 6:30pm. No experience is necessary! Even if you're not interested in fighting fire, we can still use your help as a medic, driver/pump operator or even support. If you're interested in joining, please click here.